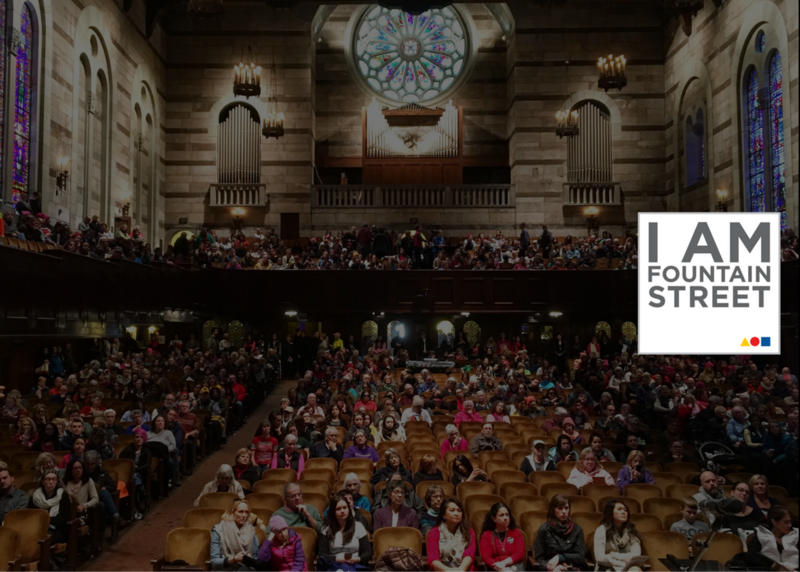 Can you imagine a West Michigan without Fountain Street Church? "Can you imagine a West Michigan without Fountain Street Church?" One of the great joys of my fifteen months here at FSC, is getting to meet so many new people and the honor of hearing your stories. Stories illustrate what this church means to not only our Congregation but this Community. With so many diverse personal experiences, we see the full impact of Fountain Street Church and what this community would be like without it. Your support ensures we won't have to find out. Once called the "Impossible Church", Fountain Street Church has served as a bastion of compassion, understanding and dialogue at the center of a city frequently standing in contrast. Our Church is uniquely positioned to serve and support the individuals of our community. As religion and spirituality has evolved around the world, memberships have dropped and churches have closed. And while we are not immune from challenge, Fountain Street Church is currently seeing renewed growth with 126 new Members this year. For 2017 we received 440 pledges of support through our annual campaign, with an average level of $1,788. In order to continue operating at current levels, we will need to spend an average of $2,279 per family unit. Since pledges make up 80% of our total income, it will take an average pledge of $1,900 to sustain the Church. It is our people that make Fountain Street Church a beacon in West Michigan. So I ask you, can you imagine a West Michigan without Fountain Street Church? Your pledge doesn't simply sustain our ability to support you and your personal journey, but ensures it for countless others seeking to add their thread to our unique tapestry. I hope you embrace the statement "I am Fountain Street." Thank you for your continued generosity, I hope we can count on your support to this indispensable church institution.